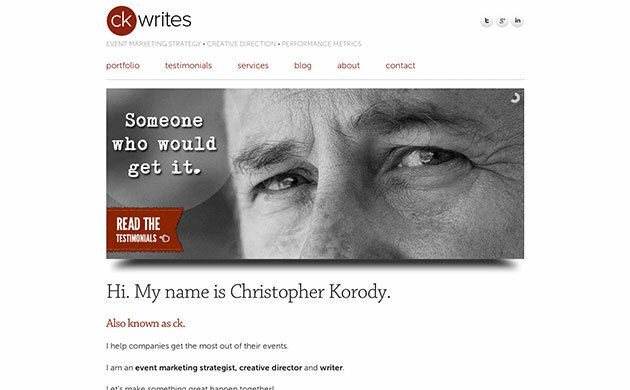 Christopher Korody, aka ‘ck’ is is an event marketing strategist, creative director and writer with decades of experience. I’ve been fortunate to not only help ck realize his digital strategy, but been the beneficiary of his counsel and guidance. He continually challenges what’s possible and has an insatiable curiosity for all things digital.